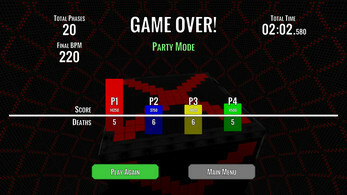 Spin the Beat is a game designed to bring friends together for some good-old-fashioned couch-multiplayer fun. 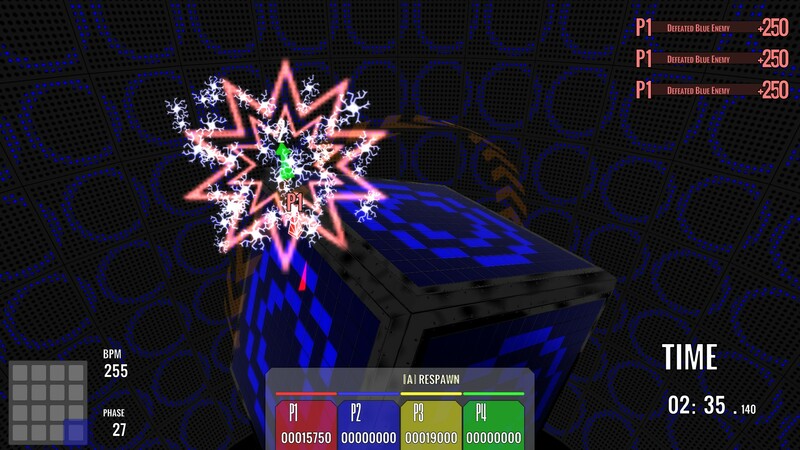 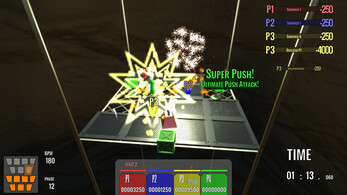 With simple controls and simple objectives, it's a game that anyone can pick up and play. 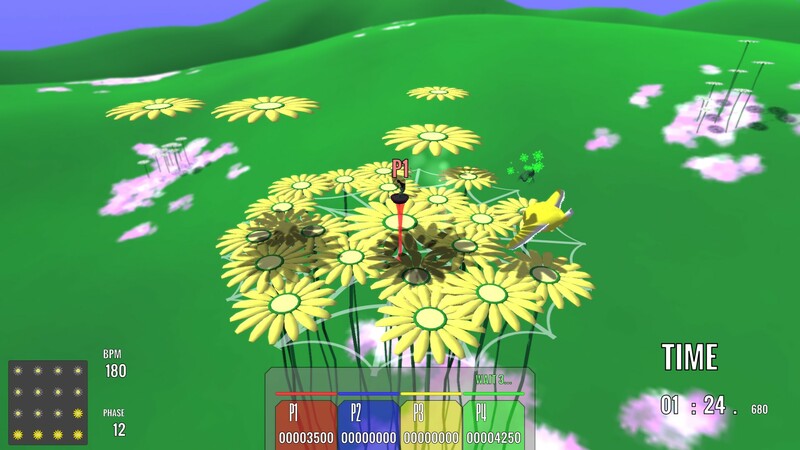 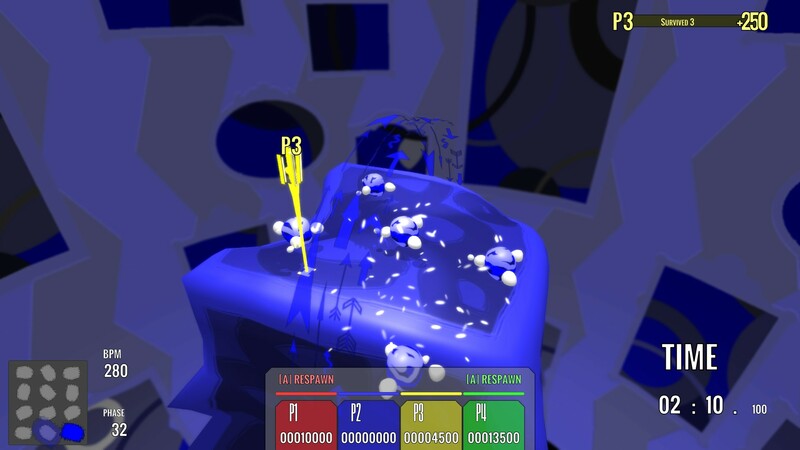 You and up to three friends are dropped into a small environment which quickly comes to life in bright colors and intense sounds as simple but devious enemies do everything in their power to knock you and your friends off the edge. 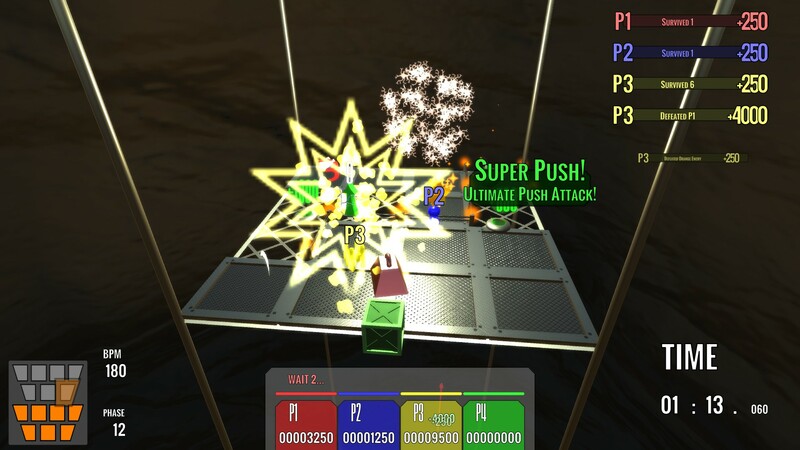 You can work together to keep the game going for as long as possible … or knock each other around to try to earn the highest score! 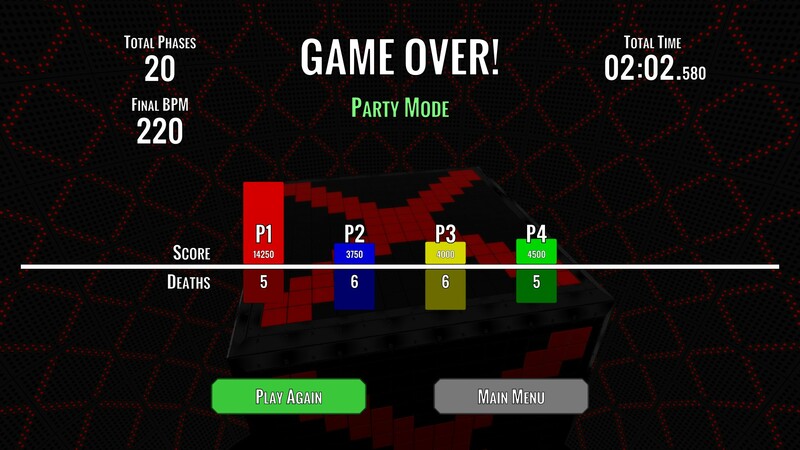 Rack up points by surviving consecutive waves, defeating enemies, and defeating each other. Watch out for sudden events that can mix up gameplay, including power-ups and wild changes in the world's behavior! 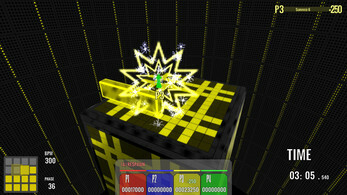 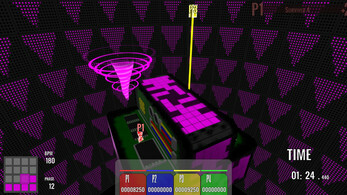 Spin the Beat can be played with 1 to 4 simultaneous players on a single screen. - One simple objective: Don't fall off! 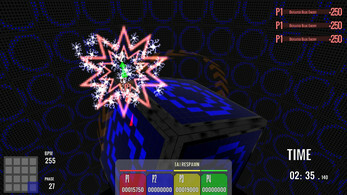 - Semi-procedural music – no two play sessions will have exactly the same soundtrack! Spin the Beat is an enhanced and expanded remake of BeatBox, a student game developed at DigiPen Institute of Technology in 2014 by the creator of Spin the Beat.